As a reader, I usually don’t know where my next read is going to come from. It could be found in a magazine article, by listening to NPR, or from a person convincing me that I need to drop everything and read this book that will apparently change my life. This is the tale of my journey with author and artist Lucy Knisley (pronounced Nicely), who I discovered while researching food memoirs via the NoveList feature on the library website. Residing in Chicago, Knisley is a serial artist who excels at infusing a personal narrative with her signature visual style. She’s a talented young woman with a unique voice that is self-deprecating and humorous, yet universal. Now, I have been around comic books and graphic novels for as long as I can recall, yet I don’t remember encountering any with an autobiographical narrative. Personally, as a visual artist, I have an immense respect for those who pursue and can actualize storytelling through the form of serial artwork. For Knisley to have both of these qualities within the same bound pages, well, it just seemed too good to be true! Below is a tour guide on my voyage through Lucy Knisley’s work and perhaps you, dear readers, will be as endeared by her work as I have been. Published in 2008, "French Milk" offers an introspective and intimate portrait of Knisley’s life during a pivotal time in her early 20s. The plot involves a six-week trip to Paris with her mother, Knisley’s impending 24th birthday, and her thoughts of what future awaits her upon graduating from the Art Institute of Chicago. The narrative is portrayed through personal black and white photographs, drawings from her Moleskine notebook, as well as Knisley’s accompanying handwritten anecdotes. While the drawing style feels simple in comparison to Knisley’s other works, it supports the temporal setting of a trip abroad. French Milk almost reads like a graphic novel Moleskine edition of Noah Baumbach’s film "Frances Ha," another coming of age tale that could be categorized as Millennial French Noir. 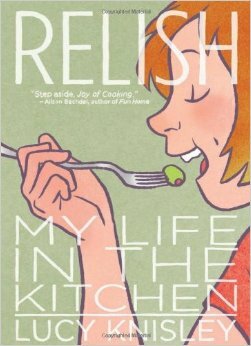 In 2013, Knisley produced "Relish: My Life in the Kitchen," a food memoir graphic novel. You read that correctly: It’s a memoir about food relayed through an illustrated format. Relish is quite possibly the most personal of Knisley’s works once you discover just how much she not only loves food, but relishes it. As the daughter of a chef and gourmet, Knisley weaves the thread of food and the pleasure of eating into just about every facet of her life. In addition to the lovingly crafted illustrations, there are family recipes that accompany each chapter. I offer one warning: Do not read this book when you are hungry because it will prove to be absolutely torturous. 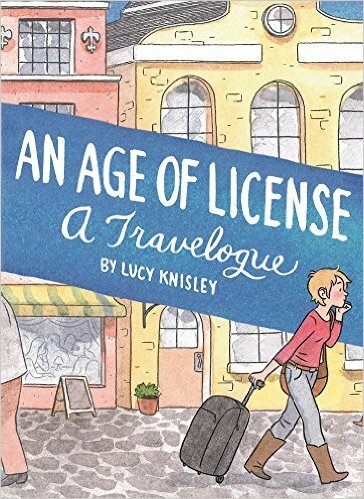 "An Age of License: A Travelogue" follows Knisley as she travels solo for a publisher-funded book tour through Europe and Scandinavia. This work is a great combination of her writing style, like what is found in "French Milk," and the visual stylings of "Relish." In combination with her innate sense of humor, Knisley crafts not only a travelogue for her journey, but an inner diary as well. She followed up with "Displacement: A Travelogue" in 2015, which chronicles a cruise taken by Knisely and her aging grandparents. This work is a true love letter for those who have a close knit relationship with elders in their family. Displacement continues the physical, internal journeying from "An Age of License" and adds a temporal quality with anecdotes from the storied lives of Knisely’s grandparents. 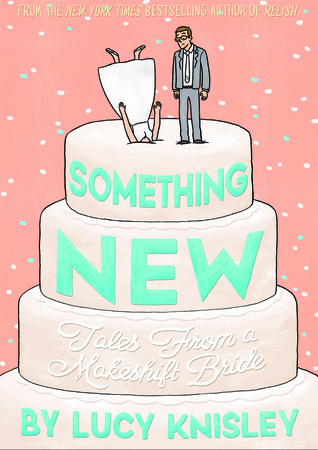 This year brings Lucy Knisley’s latest release, "Something New: Tales From a Makeshift Bride," and completes a romantic story arc that began in "French Milk." This opus is not only a wonderful mix of Knisley’s previous works, but it also offers a refreshing perspective of what it’s like to plan a wedding and insight on what it means to be married. This book garners a newfound respect for do-it-yourself nuptials and the work that goes into crafting a ceremony with meaning. — Ilka Iwanczuk is a Reader's Services Assistant at Lawrence Public Library.